Greenwich Council’s ward budget scheme has reopened, with £30,000 available to each council ward over the next four years. The scheme is intended to fund community initiatives such as community and social schemes, environmental issues and well-being and health projects, with ideas being proposed by residents and community groups then approved by ward councillors. Funds were made available to a range of schemes in the last round, including an air quality monitoring project, a campaign against cold callers, a primary school’s sensory garden, and the Charlton & Woolwich Free Film Festival – read more about the schemes funded in the last budget round here. 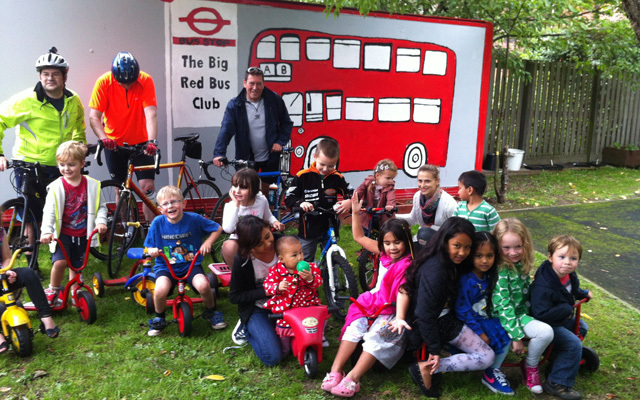 Annie Keys of the Big Red Bus Club, which has received funding for specialist play equipment for disabled children amongst other projects, told The Charlton Champion: “Big Red Bus Club has been incredibly fortunate to be supported through Charlton’s ward budget scheme. It’s been great to help us try out new ideas and projects that local families have wanted to see happen in Charlton. A perfect example is Play Plus; £750 helped us to buy sensory play equipment for children who have additional needs. That little bit of funding three years ago led to a whole programme of support for local SEND (Special Education Needs and Disabled) under-fives and their families. Now, Play Plus has three years of funding from Children in Need, for a specialist support worker, a programme of community arts and every Monday a whole day of targeted activities including Makaton story telling. enhance the council’s community leadership role and promote civic pride. If you have a project idea you think could be funded, contact your local ward councillor. The Charlton Champion has been covering the ward budgets since they were launched in 2015 – read more of our ward budget stories here. Greenwich ward budgets are set to return – how much was spent in Charlton last time? 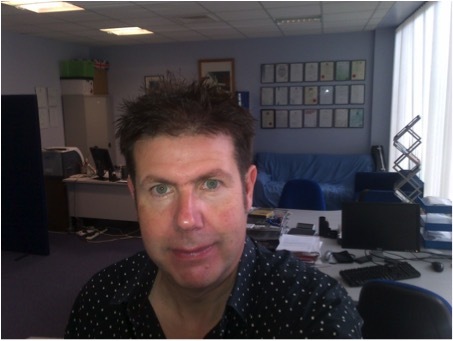 Greenwich Council Ward Budget scheme is all set to return, leader Danny Thorpe announced last week. So we thought we’d take an overdue look at what was funded in Charlton ward during the last round. The announcement came during last week’s full council meeting – watch it here. Each ward in the borough was allocated a £30,000 budget to be spent on schemes proposed by the community and selected for funding by local councillors. When we checked in on the schemes in July last year, only 22% of the £30,000 budget had been allocated. So how does it look a year later? By our calculations that’s over 85% of the budget allocated by the time the funding round closed. Many thanks to the Positive Plumstead Project for passing on the cross-borough list of approved applications. We hope that the next round will be easier to follow: we suggest a page per ward on Greenwich Council’s website would allow residents to keep up with what’s been approved through the year. We hope to bring more information on the next scheme following July’s Cabinet meeting. PS. if anyone would like to go through the numbers for the wards adjacent to Charlton (Woolwich Riverside, Peninsula, Kidbrooke with Hornfair), we’d love to add them – get in touch! Could Charlton’s ward budget fund better signage? Councillors need your ideas and input. As you may know Greenwich Council launched a ward budget scheme in 2015. It gave each ward £30,000 to spend on projects that would be of benefit to residents. The original Cabinet report from October 2015 detailing the purpose of the ward budget can be found here. In Charlton, we wanted local groups and organisations to be able to apply for small grants that would really make a difference to their projects, as well as us as ward councillors identifying areas that we wanted to impact. So far, grants have been made to the Big Red Bus Club, Charlton Toy Library and the Charlton Central Residents Association for a community green spaces project to name just three, with further applications for green space projects at the enquiry stage and a grant to a local Guide Group for camping projects having just been paid. We also contributed £400 to the fund for the new Greenwich Food Bank Van when their van was stolen last year. However we still have around £20,000 left to spend. We have various ideas as to what that could be spent on, and having looked at the comments on a previous blog post, signage is just one of the ideas that came to the fore. I have recently facilitated a meeting with officers and colleagues to discuss what might be possible so please watch this space. But we would really welcome further ideas as to where this money could be spent. These can be submitted as ideas to your three councillors or as an application from an organisation or group via the form attached here. We have been advised by officers that in order to ensure that any proposals put forward are processed in the proper manner they need to be submitted by the end of January 2018. So please do get in touch either with direct applications or ideas that you wish to be looked at. Charlton Ward Budget Watch: what’s been funded so far? Charlton’s Big Red Bus Club has benefited from the ward budget, along with 7 other projects to date. Greenwich borough’s Ward Budget programme makes £30,000 available to each ward, with schemes proposed by the community and selected for funding by local councillors. With – we estimate – only 5 months of the programme left to run (we understand it will conclude 6 months before the May 2018 council elections), we’ve taken a look at what’s been funded so far. 8 projects have been approved so far (including one joint scheme to fund the Greenwich Foodbank Van) out of 70 confirmed across the borough. Only 22% of Charlton’s budget had been allocated at the time the report was published (there’s a surprisingly wide variation between wards on this: Kidbrooke and Hornfair have allocated 89% of their budget; Thamesmead Moorings less than 5%). CCRA Community Green Spaces Project £985 Agreed the allocation of a one-off payment of £985 to support the improvement of land (through planting) on the street environment in Central Charlton. Charlton Toy Library £1,472 Agreed the allocation of a one-off payment of £1,472 to fund the purchase of baby and child safety equipment, pre-school toys and books for the Charlton Toy Library loan scheme, arts and crafts materials, an A-board sign along with leaflets and information packs to promote the service. The Big Red Bus Club £950 Agreed the allocation of a one-off payment of £950 for the provision of specialist play equipment for the Big Red Bus Club, Stay and Play service for disabled children in Charlton. Thorntree School – Community Garden £500 Agreed the allocation of a one-off payment of £500 for the provision of gardening equipment, plants and shrubs to renovate a piece of land next to Thorntree Primary school as a community garden for the school children to plant and maintain. Charlton Community Day £750 Agreed the allocation of a one-off payment of £750 towards the costs of running a community day in Charlton Park on 23rd July 2016. The event will be run and managed by Global Fusion Music & Arts. The ward budget contribution will cover the cost of the sound system and volunteer expenses. Greenwich Foodbank Van £428* Agreed the allocation of a one-off payment of £6,000 towards the purchase of a van by Greenwich Foodbank to facilitate the efficient transport of food around the Borough to be funded from the Ward Budget Scheme as proposed by the members of fourteen Wards. Charlton Hope Sale £1,500 Agreed the allocation of a one-off payment of £1,500 to support the Charlton Hope Sale, an outreach group that provides support to local people in need. Valley Hill Hub – Air Pollution Monitors £120 Agreed the allocation of a one-off payment of £120 to enable the Valley Hill Hub to purchase and install ten air pollution monitors in the Charlton area and to publish a report on the findings to local interest groups and the Royal Borough of Greenwich. £3,600 for the Charlton Manor/Long Lane community garden. Searching for ‘Ward Budgets’ in the Decisions section of Greenwich council’s website will bring up details of other funded projects. Many thanks to Cllr Spencer Drury of Eltham North for highlighting on his website the Greenwich council report detailing Ward Budget spending to date and crunching the percentage figures above. So, with over £20k available to spend in Charlton ward, what you like to see the money spent on? Better Christmas lights for the Village? Improvements to parks? A contribution to the Blackheath fireworks? Community events? Let us know in the comments below – the clock’s ticking! The Charlton Central Residents’ Association is set to get £985 from Greenwich Council to smarten up small areas of green space on its patch. The residents’ group, which covers an area east of Victoria Way and west of Charlton Church Lane, wants to clean up and plant flowers at five locations: the front of Gollogly Terrace; Wellington Mews; the green in front of Wellesley House on Wellington Mews; the junction of Inverine and Fossdene Roads; and an alley at Delafield Road. It says the project will improve the attractiveness of the local street environment, give residents without a garden the chance to take part, and to “provide an opportunity for people living in Charlton to learn more about gardening, horticulture and plant care”. The cash comes from the ward budget fund, where councillors have a pot of money available to fund small projects in their wards. Other grants in Charlton ward have gone to the Big Red Bus Club for play equipment, Thorntree Primary School for a community garden, equipment for Charlton Toy Library and last year’s Charlton Community Day in Charlton Park. Some £500 will be spent on plants, shrubs and equipment while £200 is earmarked for “specialist advice and education services”. The group says it also anticipates spending £140 on hiring St Richard’s Hall for training volunteers and holding residents’ meetings. CCRA says it carried out similar work some years ago at the junction of Nadine Street and Charlton Church Lane, although that plot is now in need of more attention. If other councillors do not object to the funding, it will be confirmed at the end of the week.